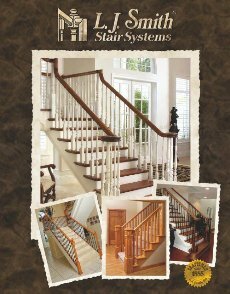 In an effort to help you understand the many specific terms associated with staircases and banisters we have created the following glossary of terms. Apron – A wide decorative board attached to the wall under any Balustrade or above the treads on a Closed Stringer also known as a Skirtboard. Balcony – An overlooking opening in an upper level generally requiring a Balustrade. Bending Handrail - A handrail made from multiple pieces (called splices) that can are glued and bent around a radius. Once the glue is dry the handrail will maintain its curved shape. Bending Handrail profiles match their straight profile counterparts. Box Newel – A large square hollowed Newel Post with caps and pedestals and other decorative components. Box Stair – A straight Stair with Closed Stringers. Bracketed Handrail: A Wallmounted Rail. Brackets – The decorative components applied to the surface of stair Stringers beneath Open Treads. Circular Stair – A broad definition of all stair types that form part or all of a circle. While Spiral Stairs are curved they are usually defined separately for the purpose of most Building Codes. Clearance – The distance between a Handrail and wall or other projections. Also known as Finger Clearance. Closed Stair – A staircase enclosed on both sides by walls. Closed Stringers – Stringers that house the Treads and Risers between them so that the Treads and Risers are not visible from the outside. Column – The supporting cylindrical shaft of one type of Spiral Staircase. 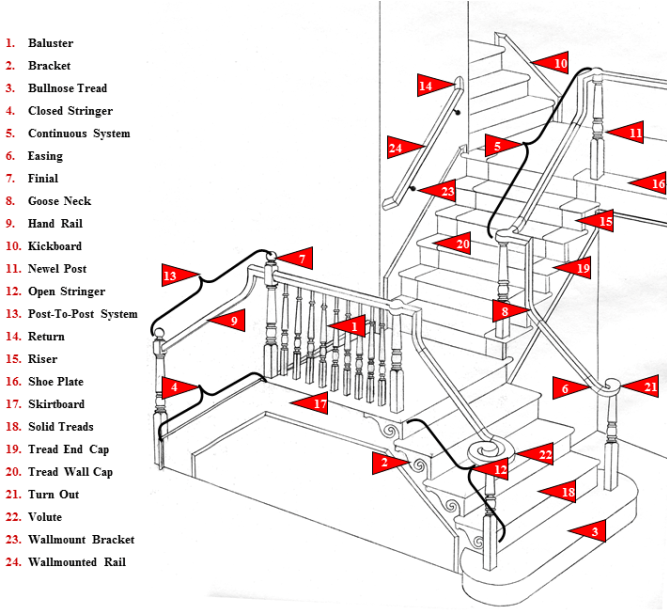 Continuous System – The type of railing system wherein the handrail passes atop each Newel Post. 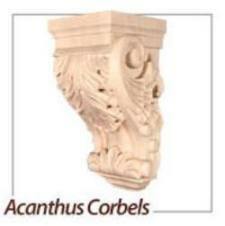 Corbel – A wood bracket projecting from a Column used to support the Treads and Landings. Convex Treads – Treads in which their adjacent Risers curve convexly from one side of the Stair to the other. Cove Moulding – A Scotia. Curb – The raised margin of a Closed Stringer above the Treads and Risers or a raised margin along the edge of a balcony atop which a Balustrade may be secured. Also known as a Curb Wall or Curb Stringer. Curved Stair – A broad definition of all stairs in which one or both Stringers curve or flare. Dogleg – A Pitch Change. 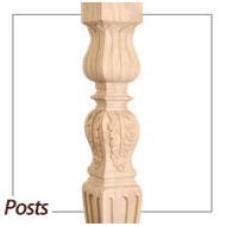 Dowel Top Baluster – A Pin Top Baluster. Dowel – A round pin that fits securely into corresponding holes to align or fasten adjacent pieces. Dowel Screw – A lag bolt with opposing wood threads on each end that is used to secure a Baluster into the Shoe Plate orHand Rail. Drop – The ornamental end of a Newel Post that projects below the Soffit. Double-Helical Staircase – A Spiral Staircase in which the cylindrical axis is imaginary and the stair is supported by helical Stringers. Easing – A transition Fitting which curves in a vertical plane to adjoin varying handrail levels into one fluid system. False End Treads – A Tread End Cap or Tread Wall Cap. 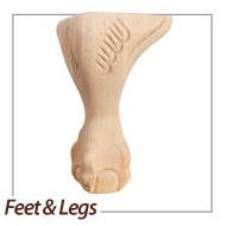 Fillet – The thin strip of wood that fills a Plowed Rail between the balusters to secure them in place. 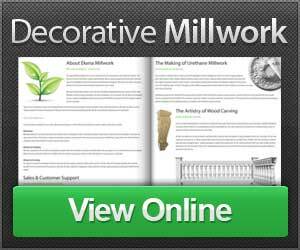 Finial – The ornamental top of a Newel Post that is carved, shaped, or turned. 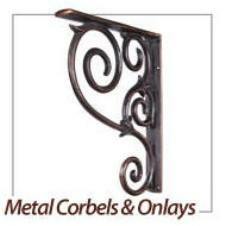 Fitting – The broad definition of all types of rail Easings, Wreaths, Scrolls, etc. Flared Stringer – A curve in a Stringer away from and to the outside of its original direction of travel often used to widen a stair at its entrance. Flight of Stairs – An uninterrupted series of steps and stringers from one landing to the next. Floor Level Rail - A Balustrade that serves as a Guardrail on a Landing or Balcony. It is also frequently used as a room divider. Floor-to-Floor Height – The Total Rise. Flutes – Decorative vertical grooves or reeds routed into a wood surface such as a Newel Post or Baluster. Free-floating Stairs – Independent Stairs. Freestanding Stairs – Independent Stairs. Goose Neck – A compound vertical S-shaped curve in a handrail formed by two Easings or Miters. Gradient – The angle of inclination of a Stair. Also Known as Pitch or Rake. Half Wall – A Pony Wall. Handrail – The top connecting member of a Balustrade which is grasped by the hand to give support. Handrail Brackets - The mounting supports which fasten a Wallmounted or Bracketed Rail. Hanger Bolt – A bolt, with wood threads on end and machine threads on the other, that is used to attach two pieces of Rail (Rail Bolt) or a Newel Post to the Floor. Hanging Stairs – Stairs which are not visibly supported at the open side but are built in or cantilevered from the wall or closed side. Headroom – The vertical distance measured from the lowest point of the ceiling or Soffit directly above the Stair to a plane parallel and tangent to the Stair Nosings. Helical Stair – A Spiral Stair. Housed Stringer – A type of Stringer which is mortised to receive and support the Treads and Risers which are then secured with Wedges. Independent Stair – A Staircase rising from one floor to the next without intermediate supports such as walls or columns. Also known as Freestanding or Free-Floating Stairs. Inlay – Contrasting pieces of material set into a surface to form a design. Kerf – A saw cut which does not completely bisect a piece of wood. A series of kerfs in a piece of wood are made in order to bend it. Kickboard – A type of Apron (Skirtboard) that is board attached to the wall atop the treads of a Boxed Stair or a Closed Stringer. Lambs Tongue – Rail terminal that curves in an S shape in the elevation. Landing – Any platform, either intermediary between two flights of stairs or at the upper floor of a flight of stairs. 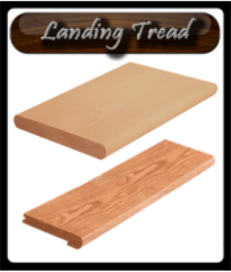 Landing Shoe - The stair part used to finish off the top step of a stairway, around stair landings or under floor level balustrades also called Landing Tread. Landing Tread - The more common name for Landing Shoe. Margin – The vertical distance between the Nosing and the top of a Curb. Miter – A joint made by beveling each of two pieces of wood generally to form a corner. Mitered Risers – A stair system in which the Risers are Mitered to the vertical notched portion of the Stringer orSkirtboard. Mortise – A hollow chiseled into a piece of wood which receives square or rectangular wood or iron components such asTreads, Risers or Balusters-especially Wrought Iron. 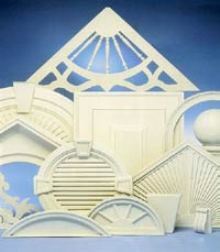 Moulding (Molding) – A decorative strip used for decoration, ornamentation or finishing. Newel Post – The substantial columns at the terminations, junctions, turns and intermediates of a Handrail that provide the main support for the Balustrade. Nosing – The rounded over or semi-circular shaped end of a Tread Cap which extends beyond the Riser. Also known as a Nose. Open Riser Stair – Stair consisting of Treads without the support of Risers. The Treads may be suspended between or atop Stringers or by Corbels. Open Stair – A Stair with one or both sides without walls. Open Stringer – A Stringer that is notched to receive the Treads and Risers so that their profile can be seen from the side. Also known as a Sawtooth Stringer. Open Treads – The type of exposed Treads revealed with an Open Stringer. Over-the-Post System – A Continuous System. Pin Top Baluster – A baluster having a doweled top rather than a Square Top Baluster. Pitch – The ascending angle of a stairway determined by its rise and run. Pitch Change – A change in the pitch of a stair due to a variation in the Tread Runs. Also known as a Dogleg. Plowed Rail – A Handrail in which the bottom is grooved or plowed to accommodate Square Top Balusters and Fillet. Plug – A small circular piece of wood used to tightly fill and conceal a hole usually drilled into a Newel, Baluster orHandrail. Pony Wall- A Half Wall that eliminates the need for a Balustrade. A cheaper alternative to a balustrade that generally only requires a Wallmounted Rail. Post – A Newel Post. 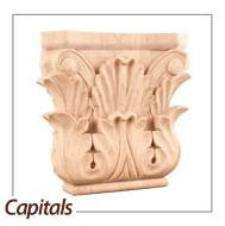 Post Cap – The square often beveled top of a Box Newel. 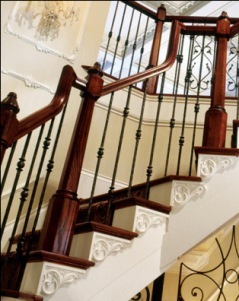 Post-To-Post – The type of Balustrade in which the handrail terminates into each Newel Post. Quarter Turn Fitting – A rail easing that curves at a horizontal right angle. Railing System – A Balustrade. Rake – The Pitch of a flight of stairs. Return – The terminal end of a Wall Mounted Rail attaching it to the wall. Reveal – The space between two adjacent surfaces, such as a Shoe Plate and its accompanying Moulding, which maintain a parallel course. Rise – The distance between the surfaces of adjacent Treads. 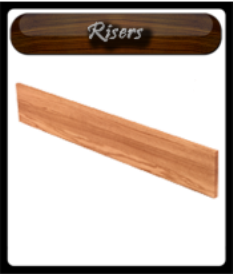 Riser –The vertical portion of a step (rough). The finished wood piece on the rough riser between two stair treads..
Rosette – A small decorative piece of wood used where a Handrail terminates into a wall. Run – The distance between the surfaces of adjacent Risers. Safety Rail – A temporary Guardrail installed prior to the construction of the permanent Balustrade, designed to prevent users from falling over the side of a Balcony or into the Stair Well until the Balustrade is installed. Sawtooth Stringer – An Open Stringer. Scotia - A hollow concave moulding that is used to cover the joint between the Tread and Risers or the Shoe Plate and the wall below. Serpentine Stair – An “S” shaped stair in which the direction of travel changes from one curve to the opposite. Shoe Rail – The decorative bottom-most wood portion of a Balustrade into which the Balusters are attached. Also known as a Shoe Plate. Skirtboard – A type of Apron that is attached to the wall under the shoe plate of any balustrade. Soffit – The visible sloping under side of an Independent or Hanging Stair. 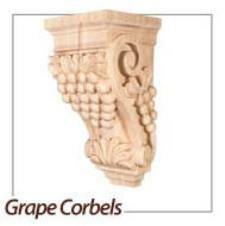 Square Top Balusters – Balusters with square tops as opposed to the more common Dowel Top Balusters. Spindled Rail – A Balustrade. Spiral Stair – Stairs which ascend around a cylindrical axis. The axis being real, in the case of a Column, or imaginary as exists with a Double-Helical Staircase. Staircase – The completed sum of a Stair and Balustrade with all their included components. Stair Rail – A Balustrade that follows the rake of a stair. Stair Well- An opening in the upper level through which a Staircase ascends. Stair Treads - The finished hardwood boards that cover the treads of a staircase. Starting Step – The first Tread and Riser at the bottom of a Staircase that is often treated with additional ornamentation also known as a Bullnose Step or Starter Step. Steps – One of a series of rests for the foot in ascending or descending, consisting of a Tread and Riser. Stringer – The diagonal supporting members of a stairway that run the distance of each flight and upon which the Treads,Risers and Balustrades are supported. S-Turn – A Handrail Fitting that curves serpentine in the plan. This fitting is used to offset a continuous rail around an impeding wall or floor. Sub Rail – The bottom connecting member of a Balustrade when the balusters do not attach directly to the Tread Caps orShoe Plate. This rail may also be Plowed and require Fillet. Sub Tread (Sub Step) – A Tread constructed of lower grade materials that are going to be covered with carpet or Tread Caps. Swans-Neck – A Goose Neck. Tandem Cap – A flared transition fitting used in continuous systems to accommodate an intermediate Newel Post. Total Run – The horizontal distance that a stairway covers, measured from the face of the first Riser to the face of the last Riser. 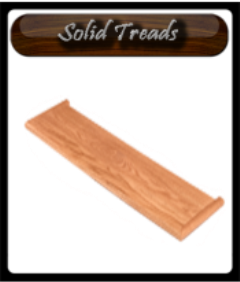 Tread – The horizontal portion of the Step upon which one walks, which may be solid hardwood, capped with hardwood, carpeted, etc. Tread Cap (Solid or Full) – The decorative horizontal face piece that partially or full covers the Sub Tread. Tread End Cap – The decorative horizontal face piece that covers the Tread at the open, visible edge of the step these are also known as False Tread End Caps or False Caps. Tread Wall Cap – The decorative horizontal face piece that covers the Tread at the closed, wall side of the step. Turn Out – A slightly curving rail termination Fitting or partial scroll. 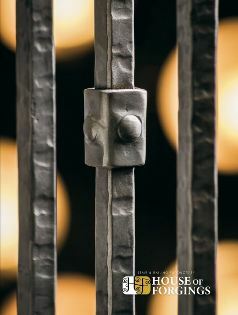 Under Easing – A rail fitting that joins two handrails or a handrail and another fitting in a smooth radiused transition. Also called an Upeasing. 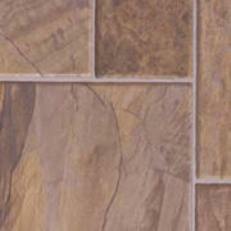 Veneer – A thinly sliced surface layer of hardwood glued to a base of inferior material. Volute - A terminal spiraling Handrail Fitting which may also decline or curve in the vertical. Wainscot – Wood paneling applied to the walls. Walk Line – The imaginary line generally measured 12” in from the inside radius of a curved stair. This line is used in the determination of certain building codes. Wallmount Brackets – The mounting supports which fasten a Wallmounted or Bracketed Rail. Wallmounted Rail – A Handrail attached to the wall by metal or wood Wallmounting Brackets. Wedge – A tapered piece of wood used with glue to hold the Treads and Risers tightly within the Mortises of a Housed stringer. Winding Stair – A Stair consisting of “Pie” or wedge shaped Treads that is general used to make an “L” shaped turn. Wrapdown – Rail terminal which curves in the elevation from horizontal to vertical and attaches to the floor. 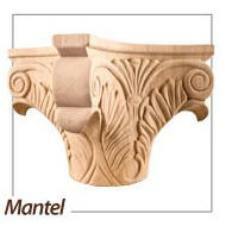 Wreath – Hand carved rail transition fitting that is curved in both Plan and Elevation. 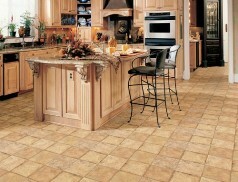 Interested in Laminate? 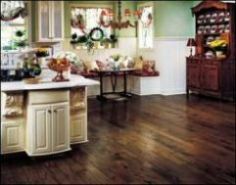 Visit ourLaminate Flooring Brands Page! 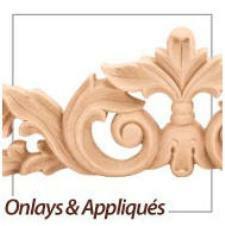 Need Hardwood Mouldings to improve your home decor? 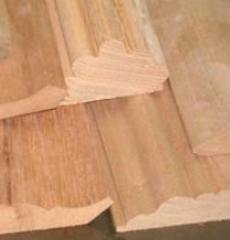 Check out ourHardwood Mouldings section. 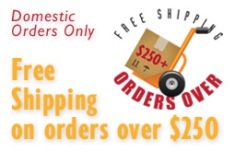 Burroughs Hardwoods is now selling online and can ship directly to your home. 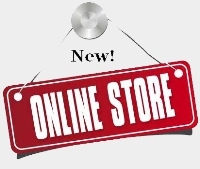 Check out our NEW online store by clicking on the image above and if you can't find what you are looking for give us a call at 609-448-8088 and we will be more then happy to assist you!